Try the ancient Asian beauty rituals. In the Far East the concept of beauty is not only focused on the mere physical appearance but also on the emotional side of the human being. The main aim is to create a perfect balance between simplicity and control. The ancient Zen beauty rituals: in Asia hair is symbol of health, grace and sensuality. 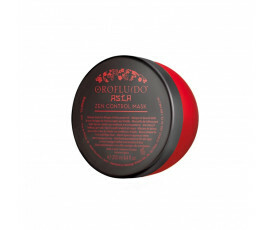 Orofluido Asia is based on a blend of three ingredients: Tsubaki (Camellia) Oil controls frizz, leaving hair soft and manageable; Bamboo Extract, a natural antioxidant, leaves hair supple and strong; Rice Oil nourishes hair, preventing split ends and adding shine. Enriched with a fruity, flower fragrance.